"The business model doesn't seem to be working," he said about the fate of NYCO, which needed $7 million immediately and $20 million for the season to stay alive. He put an estimated $650 million (not a typo) of his own money into the city, including $30 million donated to the Metropolitan Museum of Art and a total estimated at $263 million to NYC's arts, civic, health, and cultural groups, according to the NY Times. I was holding off on my review of 2013 and then realized that I don't have any tickets before the end of January. Well, duh! I can talk about this year right now. Because of a combination of factors, especially including my Sunday afternoon jujitsu classes, my concert attendance was spotty this year. I missed many programs I would have liked to see, especially of choral music and at Cal Performances. If only I could drag myself to SF on more Friday nights! Christine Goerke's Dyer's Wife in Frau. OMGoerke! as Steve Smith put it. David Robertson's Carter/Ravel/Gershwin program at SFS, with the mighty Marc-Andre Hamelin in two, two, two piano concertos. Or one-and-a-half, depending on how you count the Ravel Piano Concerto for Left Hand. ...Patricia Racette saved the day and entered operatic history by learning the difficult title role of Dolores in three weeks. The New York Philharmonic has settled with its labor unions. There will be salary increases (6.5% over four years) and the musicians will contribute to their health care costs. The orchestra ran a $6.1 million deficit last season (2012-13), with a budget for that year of around $71 million. Matthew VanBesien, the executive director, is pleased with the deal. He notes that he has a long-term plan for putting the orchestra on a better financial basis and also that the orchestra had a record year of fund raising. You'll notice that, despite the deficits and despite a $21 million pension contribution shortfall, there's no talk of a lockout or "new models" here. Unlike the MOA, VanBesien, management, and the board understand that their job is to enable great music making. Almost ten years ago, I spent five weeks in London doing research for a book that never got written. I saw a few operas and concerts, and also went to see the big-screen action/history film Troy, in which Brad Pitt gives perhaps the worst performance of his career as Achilles. (A friend who says Pitt is a great character actor with a leading man's face has it just right.) 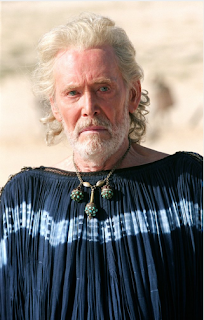 Eric Bana's Hector impressed me greatly, but then 2/3 of the way through the film, there was an actor I did not recognize as Priam, Hector's father, giving a towering performance while pleading for his son's body. The credits finally crawled, seemingly hours later, and with them came the explanation: it was Peter O'Toole. RIP, Peter O'Toole, and deep thanks for all the memorable movies. Look, we had a great year! Even though the orchestra hasn't performed in 13 months. 'The fact that the organization’s deficit is substantially smaller in a year without any performances indicates the degree to which this business model is out of alignment,' said Board Chair Jon Campbell. Jon Campbell, do you know what the purpose of a symphony orchestra is, in 25 or fewer words? The entire press release is after the jump. Read it and weep. Well, I certainly hope that you found the contents of my valise interesting. Your examination of my underwear (clean and dirty), t-shirts, bathing suits, 17-year-old Tevas, eye care products, and socks will surely make the United States a safer place. The USS Arizona sank in shallow waters just off Ford Island, Pearl Harbor, Hawaii, early on December 7, 1941. A bomb dropped by a Japanese plane from a great height penetrated the ship's armor, exploded, and set off a tremendous explosion in the Arizona's forward magazine. Nearly 1200 sailors and marines died in the attack. The remains of about 900 of them are entombed in the Arizona's hulk. Doesn't Anybody Bother to Edit this Stuff? "...a former British businessman." No, Corinna da Fonseca-Wollheim, actually, he's a British former businessman, unless he gave up his citizenship when he retired from the business world. "....composers like Julius Korngold, Ernst Krenek and Franz Shrecker." 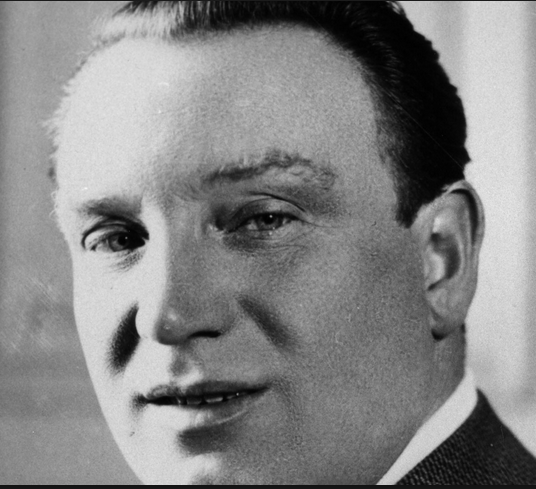 Corinna, that would be composer Erich Wolfgang Korngold, not his father Julius, the music critic. The word got around on Monday - which would have been Maria Callas's 90th birthday - that music writer, translator, and blogger Marion Lignana Rosenberg died suddenly, of a pulmonary embolism, on Thanksgiving, while visiting friends. She was 51. Marion's first blog, Vilaine Fiille, opened on October 31, 2004, the same day I started blogging. It did not take long for us to find each other; I knew Marion slightly from opera-l, and in fact she'd taken my extra ticket to a performance of Tristan at the Met in 1999. So it was good to encounter her again in the blogosphere. She shut down Vilaine Fille in 2008 and switched to blogging at her web site, Mondo Marion. I did not follow this blog because I was under the impression that she was blogging primarily about Callas, but I see that this was actually not the case. She was a witty, graceful, and extremely learned writer, with a broad background in comparative literature, European languages, drama, and music. It was a great frustration and pain to her that she was never able to land a full-time music reviewing/criticism/writing gig. Given the excellence of her writing and breadth of her knowledge, I wish she had been able to find such a job. I'm so sad and sorry that she's gone, much, much too soon. Remembrance at Classical Review, by Larry Johnson; includes links to many reviews. That last blog posting was number 2500. This scene also features the director's cameo; he's in a blue suit with peach shirt in the back row of the bleachers and speaks at some point during the sequence. Meanwhile, I have a lot to be thankful for: work that I like, music and jujitsu that sustain me; my wonderful partner Donna, my colleagues, my jujitsu students, my martial arts friends and instructors in the AJJF and elsewhere. My friends in the blogosphere and music journalism (Patrick, Janos, Joshua, Alex, Elaine, Bruce, Steve S., Steve H., Terry, Mark, Zerbinetta, and many others); to the Well (still alive!) and everyone there; to all of you and especially to my readers, many thanks. 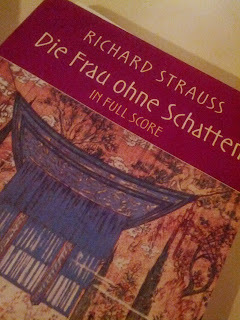 I'm likely to miss this one (SIGH), but you might want to catch the live stream of the Bayerische Staatsoper's Frau ohne Schatten. It will be on December 1 at 6.00 P.M. (C.E.T.) / 9 a.m. Pacific. The live stream will be here. It's conducted by Kirill Petrenko, directed by Krzysztof Warlikowski; featuring Johan Botha (Emperor), Adrianne Pieczonka (Empress), Deborah Polaski (Nurse), Wolfgang Koch (Barak), and Elena Pankratova (Dyer's Wife). You Might Think This Guy is a Communist or Something. He's arguing for the poor and damning untrammeled markets. He's also the Pope. Inside Music, an informative talk free to ticketholders, begins one hour prior to concerts. Meet Christine Brewer at a CD signing in the Symphony Store following the concerts. Pre-order your drinks and enjoy intermission! Did you know you can pre-order drinks for intermission? 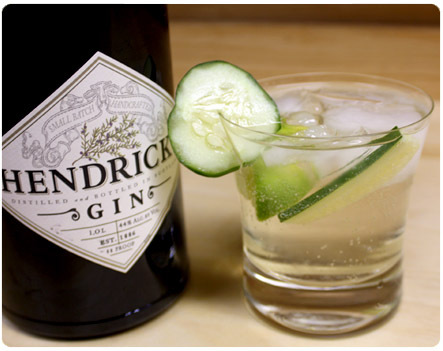 Call (415) 252-1937 or, when you arrive at the hall, tell the bartender you would like to pre-order your drinks. They will be waiting for you at a table or the end of the bar when you return to the lobby at intermission. Not this time around, I'm afraid! The distinguished American composer Conrad Susa has died, age 78. Among his works are many choral settings and the opera The Dangerous Liaisons, which was commissioned by and performed at San Francisco Opera. After the jump, the press release and links from SF Conservatory of Music, where Susa taught for many years. Of course she never sang this role on stage, but you have to wonder what it would have been like, based on this excerpt. Among the others on an unusually star-studded list of 16 recipients was Oprah Winfrey, the television entrepreneur; Dean Smith, the Hall of Fame college basketball coach; Bayard Rustin, the civil rights campaigner; Sally Ride, the astronaut killed in the Challenger space shuttle crash in 1985; Benjamin C. Bradlee, the Watergate-era editor of The Washington Post; Daniel K. Inouye, the late senator from Hawaii; Loretta Lynn, the country music singer; and Gloria Steinem, the feminist writer. Are there no editors, fact-checkers, or even people with memories at the Gray Lady? Dr. Ride died last year of cancer, as the Times reported. I hope the author of the Medal of Freedom article didn't get the above from a White House press release. Update: The Times has corrected this to "Sally Ride, an astronaut who was the first American woman in space." Thank you. From the Metropolitan Opera comes the news that soprano Erin Morley will sing all performances of Sophie in the upcoming Rosenkavalier, replace Mojca Erdmann, who is recovering from pneumonia. 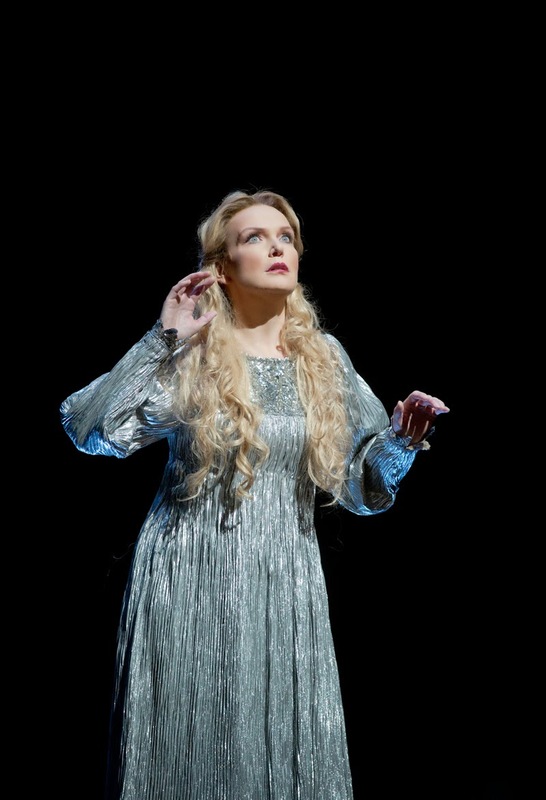 Best wishes to Erdmann for a complete recovery, but based on my experience of them both - Erdmann as an out-of-tune Forest Bird in the Met HD broadcast of Siegfried, Morley as a glorious Roxana in Santa Fe's King Roger last year - the Met audience is better off with this cast change. 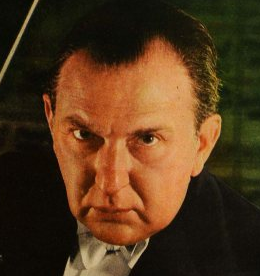 Morley has sung almost 60 Met performances, but they've been in small roles. Hoping this will be a big breakthrough for her. I am quoted in Alex Ross's New Yorker column dated November 25, 2013, which is about the disastrous failures of management at NYCO and the Minnesota Orchestra and about violinist Hilary Hahn. The quotation comes from a 2011 blog posting about NYCO and Philly that I quoted myself earlier this year in the context of the ongoing wreck in Minnesota. Unions, Classical Music, and All of That, a response to something Greg Sandow said that looks even sillier in retrospect, because replacing all of the musicians in a unionized pro orchestra would make that orchestra radioactive to pros looking for jobs. Thanks to Alex for the mention, and to Will Robin for the tweet alerting me to the article in advance of the arrival of my print copy of The New Yorker. Do not forget about the people who donated money to you outside the Kickstarter campaign. This makes them less likely to donate to you in the future. So keep a list, and if someone donated to you outside that campaign, or before you had one, send them the premium for their donation level. Anthony Tommasini, Times. "Some seemingly batty elements" - you don't say! Michael Glitz, HuffPost. "As I said, the story is simple." Errm. "A generally happy couple saddened by their lack of children." NO. Read that libretto again, will you? Alex Ross, briefly, but click through to both the Opera News article about Christine Goerke and his 2002 review. Opera Teen offers cookies to anyone who sticks with a plot synopsis that is in fact a whole lot easier to read and understand than the Met's! 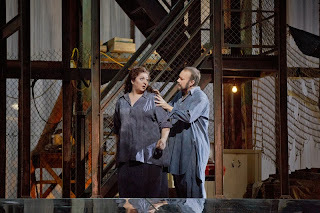 I'm surprised that so many reviewers liked Ildiko Komlosi, who sounded lousy from the Grand Tier throughout the opera. I'm also surprised that Tommasini spent so many column-inches rehashing the plot; link to a synopsis, for heaven's sake. The Nurse's motivations remain extremely obscure. She hates humans, wishes the Empress weren't drawn to humans, and yet she tries to obtain a shadow so that the Empress can stay in the human world. 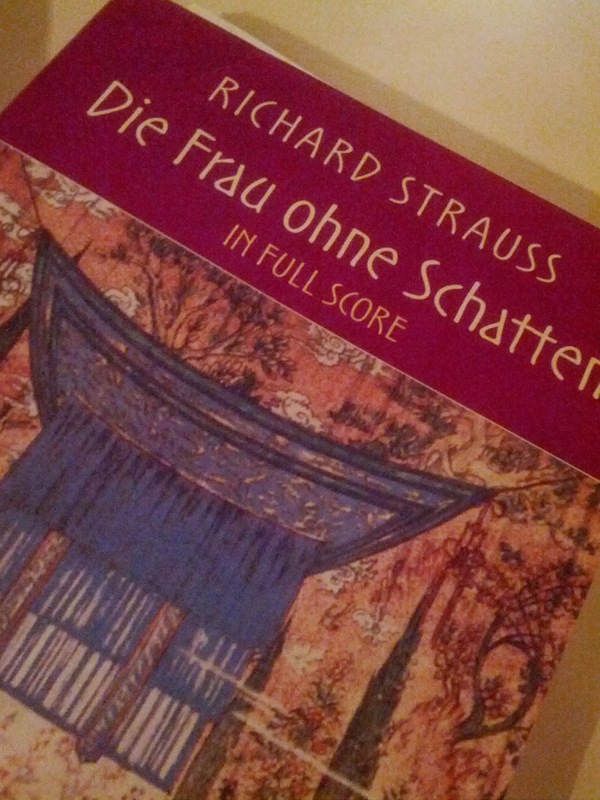 This seems like a loose end that Strauss and Hofmannsthal never worked out. And the Falcon? What's the point? The Met is hiring Christine Goerke to sing Elektra, Ortrud, Turandot, and Brünnhilde in upcoming seasons. 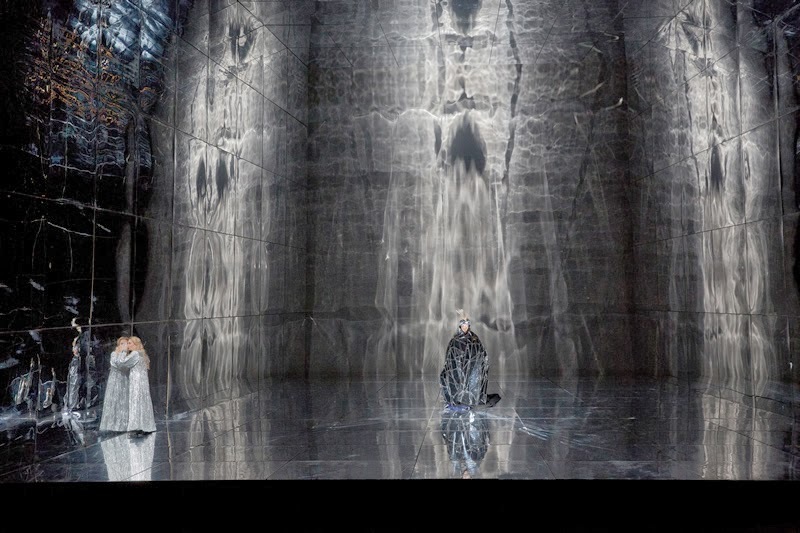 That Elektra will be in the Chereau production that is expected to come to the Met in the near future, and the Ortrud will be in a revival of Robert Wilson's Lohengrin. As for the Ring, alas, the Lepage production will return. This couldn't happen to a better singer or a nicer person (note the account of her jumping on stage to turn pages). I am so there! And hoping SF Opera will also hire her. Herbert Wernicke's 2001 production of Strauss's monumental Die Frau ohne Schatten is on stage again at the Metropolitan Opera, for the first time in a decade. You should go if you can! In the comments below, I complain about any number of details, some more important than others, but nothing I say should keep you from seeing this generally well-performed revival of a great opera that isn't staged nearly enough. Why isn't it performed all that often? Well, its comparative unpopularity and length are two factors, but much more importantly, it's difficult to find five singers who can sing the crazy demanding leads, and it's enormously expensive to stage, between the scenic requirements, the size of the orchestra, those five leads, and the eight or ten small roles that still need to be cast with good singers. The Met production has an appealingly drab and humble set for Barak's house, set in more or less modern times and featuring, among other things, a run-down looking refrigerator from which the characters occasionally pull out, and drink, a beer. Act III - The Nurse about to be banished. By contrast, there's an absolutely gorgeous set for the world of the Emperor and Empress. It's a huge box mirrored top, bottom, and sides, with effects done entirely with lighting. There's nothing in the way of physical properties or furniture at all, just the glowing mirrored box. The production photos do not do the set justice, and I really understand why the Met decided against an HD broadcast of this one. They'd be doing a lot of closeups; the spirit world Personregie leaves something to be desired, and I am sure this set looks best when you can see the whole thing. I have a whole bunch of minor and major beefs with the direction and theatrical side of the production, discussed below, many fewer with the singing and just about none with Vladimir Jurowski's conducting. Although one friend remarked that he hoped Jurowski would keep the orchestra under wraps more, from my seat in the Grand Tier I heard very few moments when the orchestra covered a singer. (If you care, my personal decibel meter pegged the Nurse's departure in Act III as the loudest single moment in the opera, and it was damn loud.) I thought there was some slackening on Jurowski's part during Act II, but that is also the most dramatically, and perhaps musically, diffuse act of the show. Acts I and III moved along well, and in fact Act III had tremendous musical drama and excitement from the first downbeat. The orchestra sounded great as well, and played heroically through a very long night. Yes, there were those trumpet clams in consecutive bars at an exposed moment in Act III, but this is entirely forgivable. And major kudos are due concertmaster David Chan and principal cellist Jerry Grossman for their gorgeous solos. All of the smaller roles are well sung, although Spirit Messenger Richard Paul Fink's stentorian bass-baritone is starting to show some wear. There's one unusual bit of casting, in that countertenor Andrey Nemzer sings the Guardian of the Threshold. This alternate casting is in the score; I just can't think of another production where this was done. 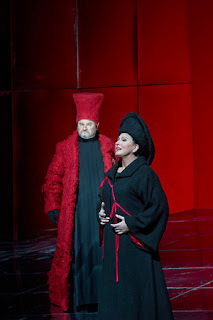 * Nemzer was astonishing, with a very big and rich voice, more a male soprano than any countertenor I've heard before. I also really liked the use of an acrobat to portray on stage the invisible Falcon, who is typically heard but not seen. The leading singers are overall very good, with exceptions at either end of the scale: Ildiko Komlosi, the Nurse, is wobbly and without enough power, especially in her low register. She just can't register the character's malevolence sufficiently and doesn't make much vocal impact. On the other hand, there's Christine Goerke, who is magnificent as the Dyer's Wife. She gives one of the most complete assumptions of a character that I have ever seen. 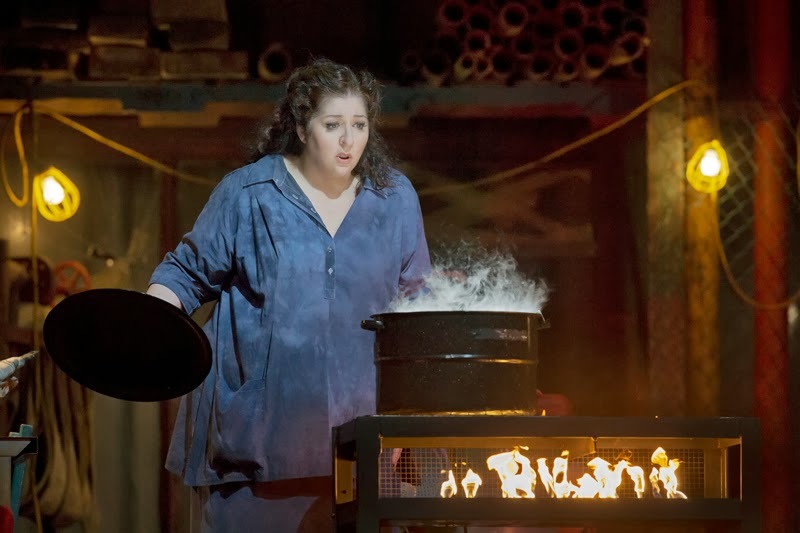 Where too many sopranos sound like shrews when they take on this part, she sings so beautifully and expressively that you realize the Dyer's Wife is young, confused, and vulnerable, lashing out because she is afraid and deeply conflicted about her marriage. Goerke has tremendous vocal range, all the way down and all the way up, and she is a fantastic physical actor. If you have ever heard Christa Ludwig as the Dyer's Wife, Goerke's performance is in that league. And I feel that I now know what the critic Claudia Cassidy meant when she described Rosa Raisa as having "a royal purple dramatic soprano." The other leads are very good, though none of them quite reach the heights of Goerke. Johan Reuter sings well, but his Barak is little one-dimensional. Barack's goodness comes through loud and clear; I wish he could show some of the pain Barak must feel at his wife's ambivalence and rejection. 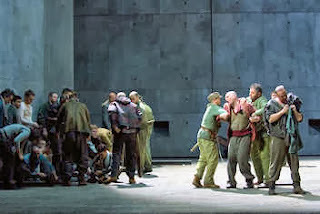 If you saw his Wozzeck last year with Esa-Pekka Salonen, you may recall that it was a surprisingly sane and amiable Wozzeck, which are not the qualities I expect in that role. The Emperor must be among the most thankless roles in opera. 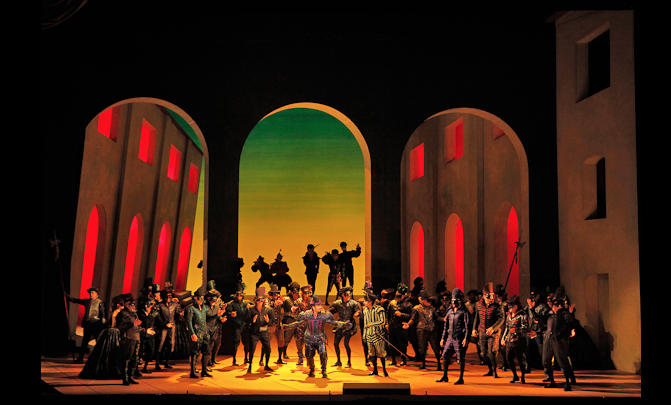 The tenor has to cope with a lot of difficult singing, but gets very little interaction with other characters. You learn about the Emperor and his relationship with the Empress from his monologues and from what the Nurse says about them. Torsten Kerl doesn't have a huge or especially beefy voice; he sings tirelessly and sounds good, with a bright, clear tenor, but the direction gives him nothing to do at all. He stands around as if he were a stone, even when he's not. Her face looked exactly like this throughout the opera. And it's the same story with Anne Schwanewilms as the Empress. She has a beautiful voice, and sufficient range and volume and flexibility - "Is mein Liebster dahin?" was gorgeous - but her face is just a blank; I spent a fair amount of time with my binoculars trained on her, and I would swear her facial expression hardly varied and that her forehead never moved. She is poorly directed in any number of ways, starting with the way she wanders around that mirrored stage in Act I with her arms extended, as if she were a child imitating a bird, badly. Over the course of Act II, the Empress has little to sing when in the human realm, but the realization slowly dawns on her that there will be terrible consequences for the Dyer's Wife and Barak if she takes the shadow. But Schwanewilms expresses none of this physically, missing out on the beginning of the Empress's transformation and maturity. And there were other reasons the Empress's big scene in Act III did not have the impact it ought to have had. 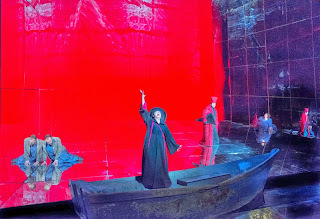 While I am not a stickler for following stage directions, I cannot believe that the production ignores the instruction after "Ich will nicht" to darken the stage, then bring up the lights again to show that the Empress is casting a clear shadow. Instead, the production does something much vaguer with the lighting to show what I presume to be a shadow on the back wall of the mirror box. They're ducking an easy lighting effect - my high school theater could have done it - that has enormous impact. And hey, they've been yelling about her lack of a shadow for 3 hours 45 minutes by then! 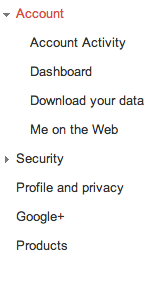 Give us a shadow, Met! Anne Schwanewilms (Empress) and Torsten Kerl (Emperor, turned to stone). "Ich will nicht!" but are those blobs the Emperor, her shadow, or a Rorschach test? I have also got some issues with the staging of the last five or ten minutes. 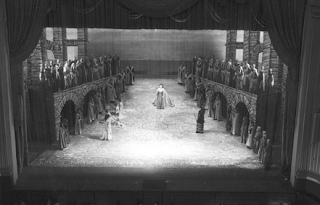 The mirrored box, where most of the last act has taken place, is withdrawn, leaving the two couples on the lip of the bare stage. Then the giant Met lighting rig is lowered until it's hovering maybe 15 feet above them - shades of Close Encounters of the Third Kind, which I would bet is not what Herbert Wernicke had in mind, and is certainly not what I want to be thinking of at the end of this great opera. Moreover, there's this Kumbaya business where the two couples meet and Barak and his wife make obeisances to the Emperor and Empress. I don't buy it and I think it lessens the dramatic impact of the ending. Perhaps the production team was trying to distract us from the voices of unborn children. * Update: Henry Holland calls to my attention a 1993 LA Opera production in which David Daniels sang the Guardian of the Threshold. Huge thanks to BH and JF for asking me questions that helped me get this written. Go see it. You just don't have many opportunities to catch this one; the production is solid and often absolutely gorgeous, though I have many quibbles with it. The singing is mostly excellent, and.....CHRISTINE GOERKE. Well. You may have thought this opera was about the Empress, the woman of the title, but Goerke steals the show in magnificent fashion as the Dyer's Wife. Hoping to get something longer up - Bruce Hodges heard a half-hour brain dump Friday night - but having a hell of a time getting going on it. Kalimac is pointing to this blog posting of mine, about the latest kid singing Puccini on YouTube, and says it is like a dog walking on its hind legs; "one is amazed it is done at all." The Dutch child is at least the third in the last few years to try this one; to see the previous kids, search for "Charlotte Church" and "Jackie Evancho." Yes, somehow it is always a little girl: I classify this with junior beauty pageants and other ways our society tries to sexualize girls and promote them prematurely to adulthood. You'll notice that these kids are singing with microphones: by definition, unless the composer specifically calls for amplification (I'm looking at you, John Coolidge Adams), it's an unamplified art form. Kids do not, as a rule, have the vocal power to be heard over an orchestra without an electronic boost. And Puccini's orchestration tends to be fairly heavy. 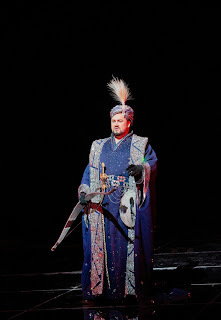 Cio-Cio-San is one of the longest and most difficult roles in the soprano repertory! I linked in previous comments to Renata Scotto's performance of "O, mio babbino caro" in a Metropolitan Opera Gianni Schicchi, because she is so very stylish and because her mugging acting makes it quite clear that the opera is comic. 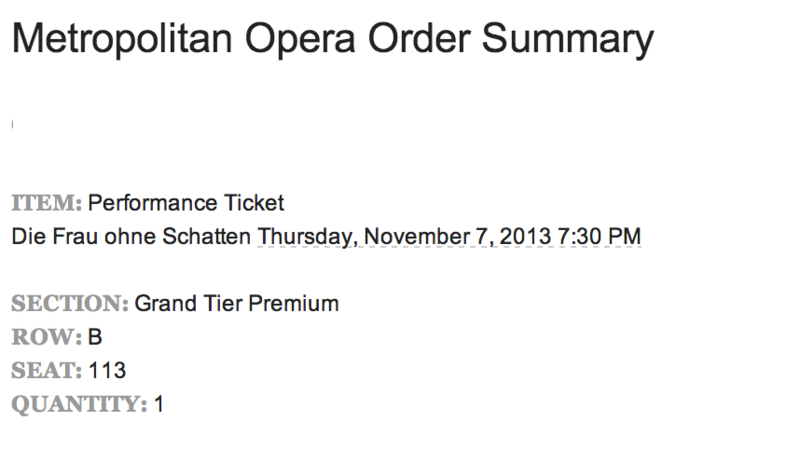 Okay, it's an opera that invites mugging, I gotta admit, and I love it to pieces, so there. But anyway. What age is too young for opera? Here's a long list of works in the standard repertory that call for children, usually in the form of a chorus. The music written for children's choruses is, above all, appropriate for their voices and age. If your child likes to sing and has been in a chorus, and you can deal with the rehearsal and performance requirements (the children's chorus in Die Frau ohne Schatten is, I think, in Act I and in the last ten minutes of a very long opera; there will be seated rehearsals, separate chorus rehearsals, and staging rehearsals), by all means, have the child audition for your local opera company. The Met's children's chorus requirements are here and they are rather time-intensive; your local, lower-budget company will vary. What about solo singing roles for children? Well, the longest and most demanding has got to be the boy soprano role of Miles in Britten's The Turn of the Screw, one of the greatest of 20th c. operas. I have also seen a production where his sister Flora was taken by a girl, but I think it is more common to have a small adult soprano in that role. I note that the first singer I heard in this role was Michael Kepler Meo, in Los Angeles in early 2011. He took some time off the stage and returned as a teen-aged tenor for The Secret Garden earlier this year. The role he played in that opera was written with him in mind, meaning it took into account his specific abilities, vocal range, power, etc. There are short children's solos in other operas, such as the shepherd's song at the start of Act III of Tosca; I saw the role of Amore sung by a boy soprano in SF Opera's L'incoronazione di Poppea back in 1998. There is the non-singing role of Dolor (sadness, trouble) in Madama Butterfly. Okay, let's get to the real point: when should a child start singing opera solos written for adults? Well, it depends on the kid and his or her voice. The great Spanish mezzo Conchita Supervia seems to have her sung her first Octavian (Rosenkavalier) at the tender age of 15. About 12 years ago, I saw a completely professional Cherubino (Nozze di Figaro) who was around 14 or 15; this was in a smallish house, the 900-seat Lesher Center in Walnut Creek. Dame Eva Turner demanded singing lessons, and got them, at age 10. At 14, she sang "Ozean, du Ungeheurer," from Weber's Oberon, in a recital, presumably with piano. (It was another decade before she sang complete operatic roles on stage, however.) Licia Albanese very likely made her professional debut at the age of 17 or 18. But for the most part, there's a progression from lighter music, such as 18th c. Italian art songs or Mozart arias, to heavier music. Most singers don't do 19th c. operatic music until they are around college age. Voices develop at different rates, because no two bodies are the same. Frida Leider was singing Bruennhilde in her 20s; Ljuba Welitsch sang Salome in her 20s. Other singers are past 40 before they touch those dramatic soprano roles. By and large, Puccini is big-girl music. A few years ago, I heard a college-age singer perform a light aria at a short master class given by Will Crutchfield. I remember thinking, whoa, Puccini voice! why isn't she singing "Un bel di" or something like that? I was gratified to hear Will say something similar to her. In any event, it's not for kids. 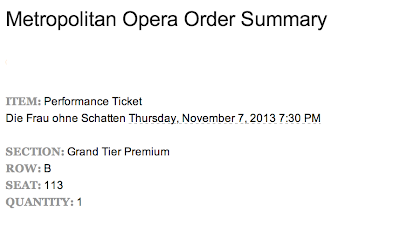 I was hoping the San Francisco Opera shop would have this score, and they did. It was nearly $50, even with the subscriber discount. I am not lugging it to NYC with me, though. It weighs more than my laptop. So two people have asked me what I think of the nine-year-old Dutch girl whose YouTube video of her singing "O mio babbino caro" has evidently gone viral. Nine-year-olds shouldn't be singing Puccini (or any other opera, really). Nine-year-olds are not competent to teach themselves to sing opera by watching YouTube. I'm not adding to the excessive attention this child is getting. Anne Midgette speaks for me. I mean, I think the word purist should be banished from these discussions, because what is meant is "people who know something about opera and singing." But whatever; I'm especially pleased that Anne mentions that the aria is a comic aria. This is obvious in context (and Gianni Schicchi is the funniest hour of opera ever composed, at least in the production SF Opera used in 2009) but most sopranos recording for recital discs don't put it across very well.